Porter, Texas is a unique location for Clean and Green Solutions as the Christian family that owns and operates this exterior mobile cleaning business resides in Porter, Texas. While we serve customers throughout the greater Houston area as far as Sugar Land, Friendswood, and Tomball, we enjoy getting to know our neighbors right here in Porter. Clean and Green Solutions is excited to provide residential exterior cleaning services for your home. For your roof and all vertical surfaces of the house, we utilize a SOFT WASH approach to avoid causing any damage to the surface that could be created from the high velocity of pressurized water. 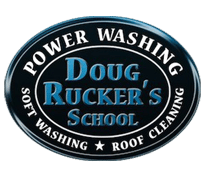 Roof erosion, paint chipping and peeling, gutter damage, window cracks are all common “rookie” mistakes that that inexperienced pressure washing companies make when attempting to pressure wash surfaces that were not designed to withstand such force. A simple review of your manufacturer’s guidelines will most likely reveal that pressure washing certain surfaces results in a voided warranty. Our SOFT WASH approach uses less pressure than an ordinary garden hose and relies heavily on environmentally safe cleaning solutions that gently lift and wash away all stains and streaks after ample time is given for deep penetration of the surface. But there are certainly some surfaces that do require pressure washing such as driveways, sidewalks, and other concrete areas that are capable of handling severe levels of highly pressurized water. 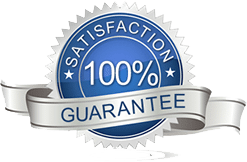 Clean and Green Solutions has a highly trained, professional and courteous staff of technicians, as well as state of the art equipment that can handle even the toughest of jobs like dumpster pads, grease traps, and even layers of graffiti that have been written over for years. Some homes may have areas such as outdoor kitchen and grill pits, pool decks and pavers, basketball and tennis courts, or garage floors where you do your own automobile repairs. 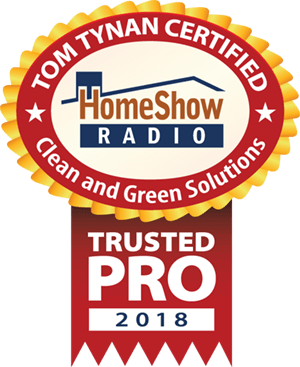 We are prepared for any and every kind of stain that is thrown our way, and with over twenty five years of experience, know precisely what it takes to remove every kind of stain imaginable. But even as we are committed to residential homes in Porter, Texas, we are equally excited about the opportunity to serve business facilities in the Porter, Texas area. We have extensive experience providing exterior cleaning services for the following types of structures: shopping centers and retail plazas, restaurants and convenience stores, banks, churches, schools, office complexes and medical buildings, condominium and apartment complexes, stadiums and recreation centers, parks and many other commercial properties. We understand the importance of projecting a positive public image in the community, and that the physical look and appearance of your building could very well either increase or turn away potential customers, clients, members, and residents. One of our core values is “Teamwork Makes the Dream Work” and we would be delighted to team up with your business in our hometown, Porter, Texas, to help increase your revenue by returning the aesthetic beautiful and charm of your business similar to what it looked like when first constructed years and years ago! Call Clean and Green Solutions today 281-883-8470 for a free consultation, demonstration and estimate for Pressure Washing in Porter TX.